"Now, with the NEX-7, Sony is specifically targeting those advanced users with a camera whose key spec reads like it's come straight off an enthusiast's wishlist. First up is the 24MP APS-C CMOS sensor, shared with the SLT-A77, that enables true 1080p60 video recording." 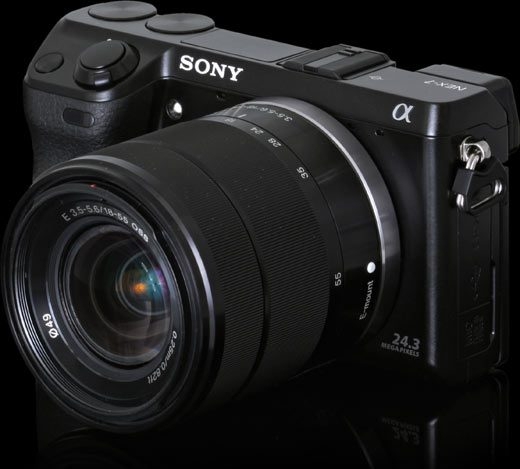 The Sony NEX-7 has been one anticipated camera, and the delay caused by the floods in Thailand have probably made the anticipation even higher. Luckily it does not seem to disappoint, with DPReview giving it a pretty good review. I personally do like the design of the camera, but I still have some concerns with the sensor, and I also think the lenses are too big and too few - the NEX system currently is just too tiny to support enthusiasts. Now if Panasonic and Olympus do try something like this for their Micro Four Thirds, that would be something really worth getting.